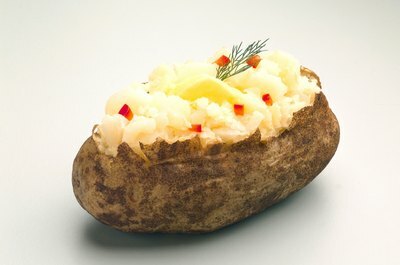 Baked potatoes are excellent sources of potassium. Consuming the recommended dietary allowance, or RDA, of potassium can help keep you from getting high blood pressure, and helps your muscles, nerves and digestive system work properly. However, some people may find it hard to get the recommended 4,700 milligrams of potassium in their diet. Adding a few foods high in potassium to your diet can help. Fruits are one of the richest sources of potassium. Plantains contain the most, with 1 cup of cooked plantains providing 716 milligrams, or 15 percent of the RDA. A cup of prune juice provides almost as much potassium, with 707 milligrams. If you aren't a fan of these fruits, give bananas a try, since each cup of sliced banana contains 537 milligrams of potassium, or drink a cup of orange juice for 473 milligrams of this essential mineral. 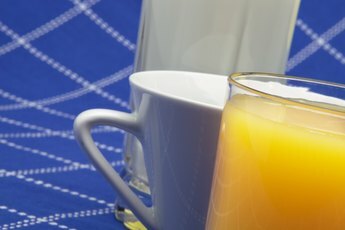 Cantaloupe, dried apricots, grapefruit juice, honeydew melon, peaches, pears, mangoes, papaya, pineapple, raspberries, figs, raisins and dates all provide between 5 and 10 percent of the RDA per serving. 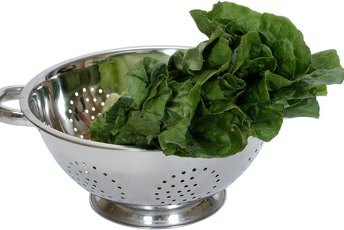 Like fruits, vegetables are high in potassium. 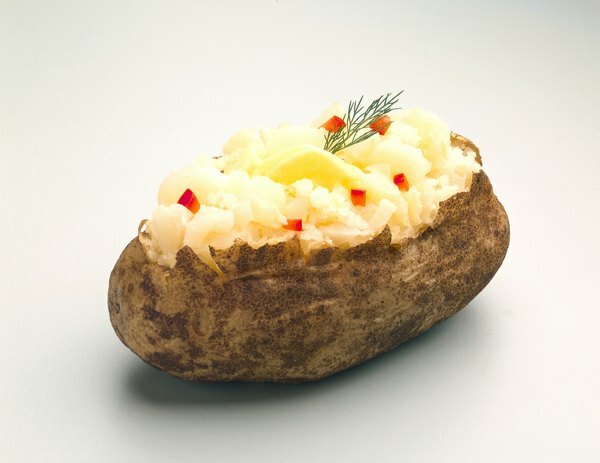 Make the starch portion of your meal a baked potato with skin and you add 1,081 milligrams of potassium to your daily total, or 23 percent of the RDA. You can also eat potatoes prepared another way to get almost as much potassium, but french fries, hash browns and scalloped potatoes are all a lot higher in sodium and fat so they aren't as healthy for you. 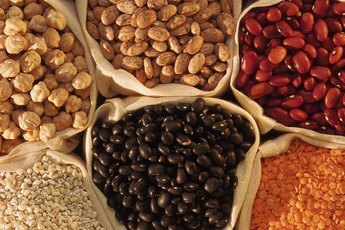 Beans, tomato sauce, beet greens, spinach, peas and sweet potatoes are other good vegetable sources of potassium. Eating more fish will help you meet your daily potassium needs. A 3-ounce serving of cooked halibut provides you with 490 milligrams of potassium, or 14 percent of the RDA, and 3 ounces of rockfish provide 442 milligrams. Haddock, salmon, clams, tuna, cod and flounder are also good options. If you aren't a fan of fish, a 3-ounce pork chop contains 382 milligrams of potassium, 3 ounces of turkey contain 356 milligrams and 3 ounces of light-meat chicken contain 221 milligrams. Eat your fruit along with yogurt for a potassium boost. Each 8-ounce serving of plain non-fat yogurt contains about 579 milligrams of potassium, or 12 percent of the RDA. A cup of reduced-fat chocolate milk provides 423 milligrams of potassium, and a cup of 2 percent milk provides 342 milligrams.